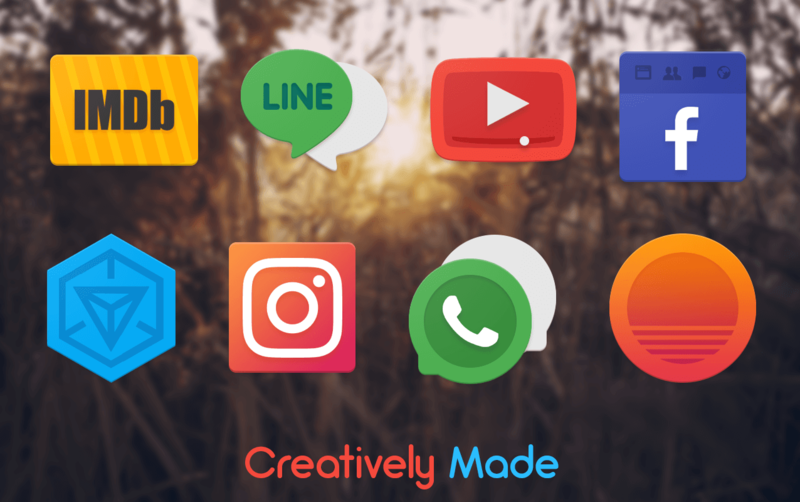 Icon packs are always one of the best option to increase the aesthetic appeal of your Android device. 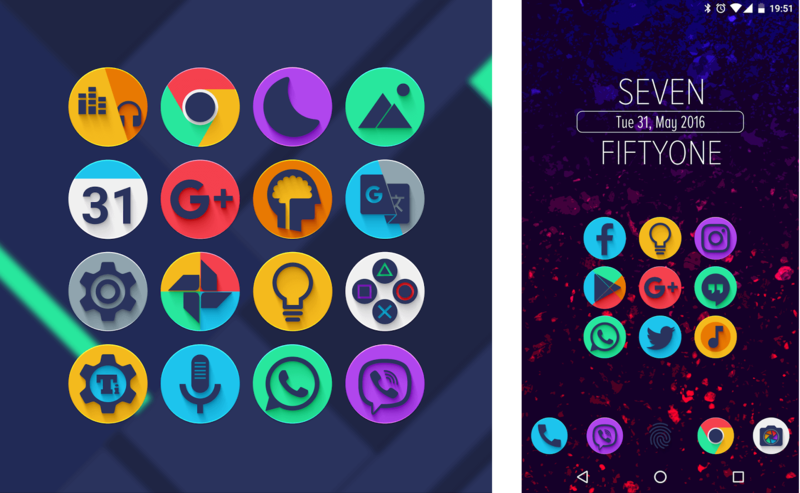 Every month we bring you one of the best and the newest Icon packs from the Android community. Here is the March edition of the series. This is one of the best looking icon packs we have ever come across. It has over 3100 utterly beautiful Icons that have a “hollow floating” design. Icons have blank spaces between them. It comes with 30 qHD wallpapers compatible with Muzei Live wallpapers. Over 3100 beautiful icons, crafted with bright color pallete, a flat design and a black all-around border. They are really bold looking icons and can compliment your device along with light-colored Wallpapers. These are currently on sale as well. It also comes with a few Wallpapers that are qHD. These are compatible with most launchers and you can request missing icons as well. 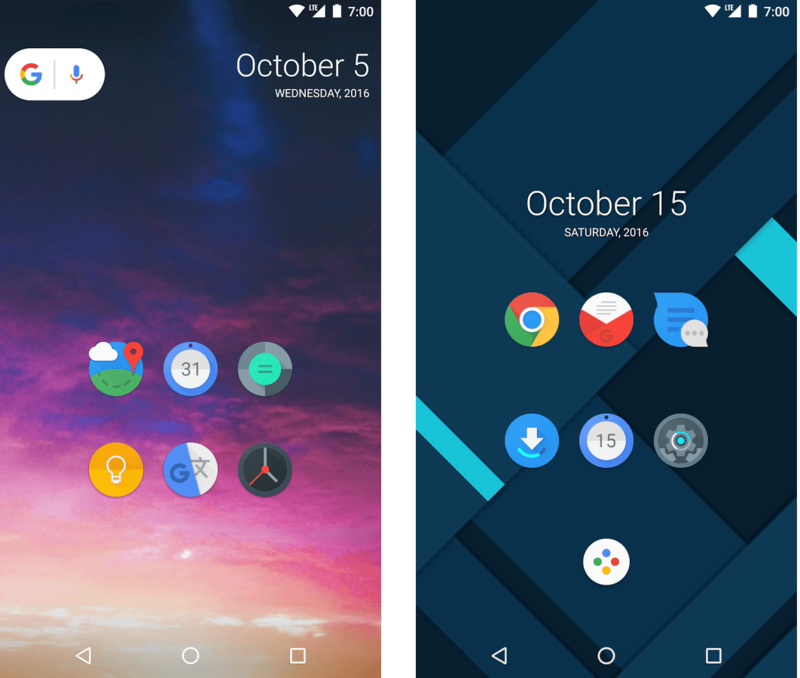 Naxos Icon Pack is a minimalist icon pack that is flat and has a really simple design. It comes with an analog clock widget as well as a few qHD wallpapers to choose from. This Icon pack uses a washed out color palette and is a nice add to your device if you want something unique. It has over 3650 icons and a cloud based Wallpaper section with 3000×2675 HD Wallpapers. It supports Muzei as well. You can also request icons through smart icon request. 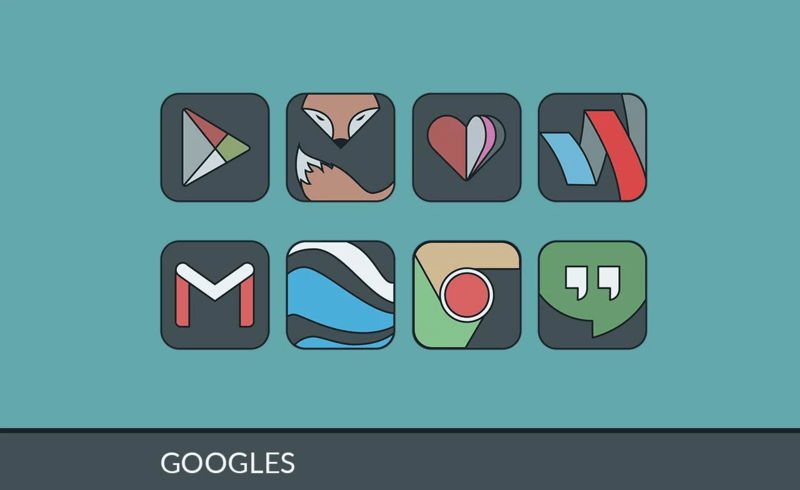 Almug Icon pack has over 4000 icons, consisting of google, apps and other icons along with a lots of alternatives. These are all round Icons with shadows and a 3-D effect. It comes with 50 qHD icons and has a dynamic calendar and a clock widget. You can request icons, preview then and the wallpapers support Muzei as well. This icon pack follows Google’s material design guidelines and the end result is a really consistent and yet unique looking icon pack. It has over 1000 icons and supports Android Nougat, dynamic calendar and many frequently used Launchers. 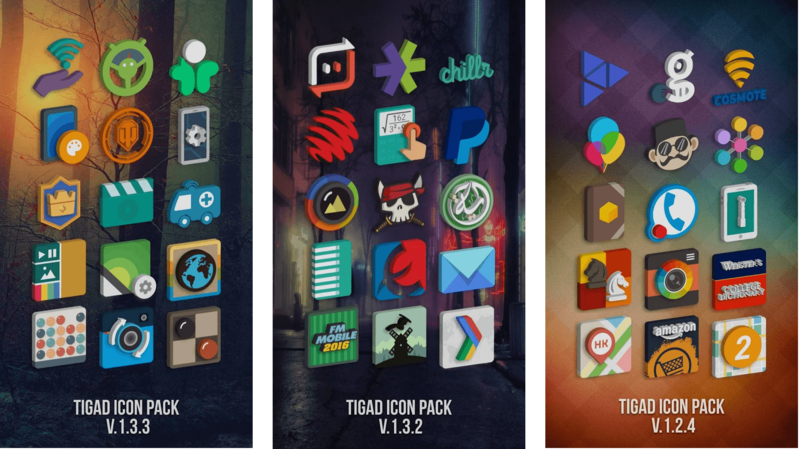 If you prefer 3-D icons then look no further Tigad pro icons is the icon pack for you. They are elegantly designed and subtly placed and tilted 3-D icons that brings an interesting look on your device. 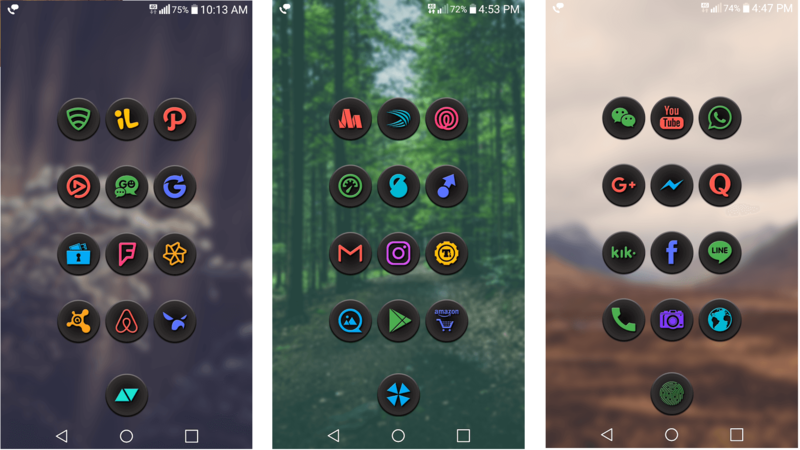 If you are looking for a dark icon pack then you can give Material Pop icons a try. These are black base with single tone colored glyph that gives eye poping effect to the icons groomed to perfection with gradient and bevels. 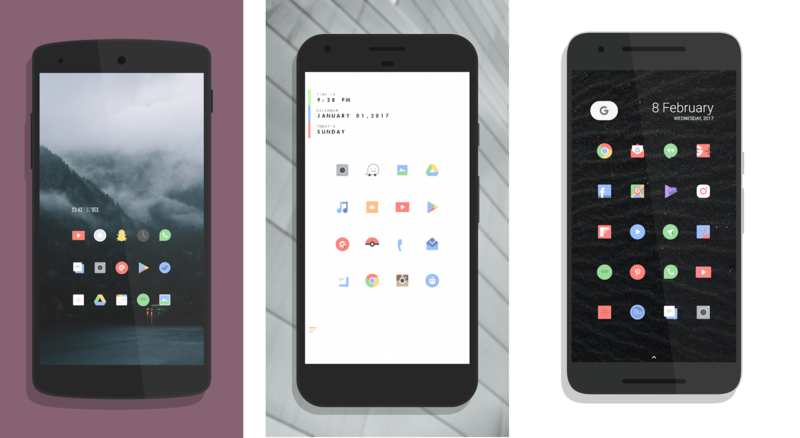 With over 1200 icons to choose from, Delta icon pack is a must try for those who like minimalist icons and a faded color palette. It has over 1200 icons to choose from and is currently in Beta as the developer is making them as his hobby. Quantum Dots have over 800 qHD ready icons and are constantly updated to include many new icons. They are circular and uniform and provide a really clean look to your device. There we have listed the top icon packs for your android device. Icon Packs can reallly alter the looks of any smartphone and the don’t even need much efforts to maintain. Do give them a try and we will be back next month with another list of smoking hot Icon Packs. Till then have a good month!